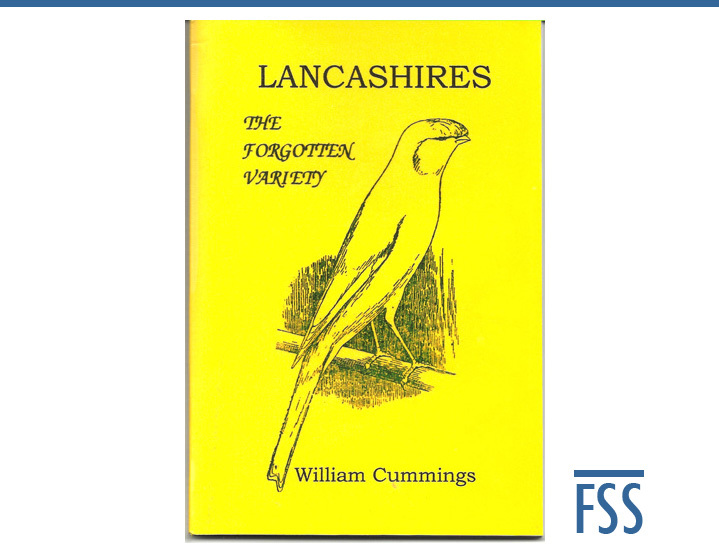 Readers may remember a book review I wrote of Lancashires: the forgotten variety by W. Cummings. An e-mail from a reader in the USA alerted me to the fact that Wil’s website is now defunct; could I help her obtain the book? I e-mailled Wil and was relieved to hear that the disappearance of his website was due to nothing more serious than an impending change of web-host. His books are still available. Those of you who read my review will know that I had enjoyed Lancashires: the forgotten canary. Since then, I have been given a copy of Glasgow’s Famous Canary, also by Wil. As you might have guessed, the book is about the Scotch Fancy (1). Another good read, and all the better for Wil’s attachment to his national breed, and his pride in having played a major role in saving it for posterity. While most of Wil’s books are on the subject of canaries and other cage birds, he also ventures on to other subjects, some of them rather esoteric: Rock & Roll Jiving anyone? Wil can be contacted at birdbooks@btopenworld.com . Hopefully his new website will be up and running soon, but in the meantime I’m happy to play my part in ensuring that he does not become William Cummings: the forgotten author. Before I receive hostile comments, I would like to point out that Wil, a long standing breeder of the variety and a resident of Falkirk, refers to the variety as the ‘Scotch Fancy’ throughout his book. He should know. Thank you so much – I will be ordering more than one title now!